‘Guests” means the persons who stay overnight in the property during the booking. Payment of deposit and or confirmation of the booking constitutes complete acceptance of these Terms and Conditions as mentioned on your confirmation email. A deposit is regarded as 50% of bill total and is required within 24 hrs of confirmation being sent by us. If we don not receive a copy of bank transfer via email or sms the booking will be cancelled and you will be required to re submit an enquiry about availability and price . Deposit may be of a greater amount if booking is longer than 2 nights. Payment in full + bond must be received on or prior to arrival (your specific details will be on confirmation). 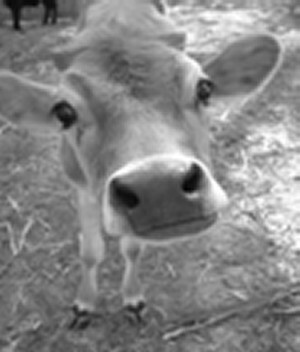 We accept payment via our bank account – personal cheques will be accepted if received at least 30 days prior to arrival. Bond will be refunded to your bank account after property inspection on day of departure provided guests leave the cottage clean / tidy and without damage. Bookings cancelled anytime from booking confirmation up to 21 days prior to checkin date. Changes to dates from booking up to 21 days prior to booked arrival dates will be charged an $80 relisting fee - changes are subject to availability and rebooked dates must add up to the same amount of days as booked previously. Bookings cancelled or variations/changes to dates within the 21 days prior to checkin up to 7 days prior to checkin in will be charged full booking fee ( unless we are able to get another booking for the same dates then only $100 admin fee will be charged ). We have a minimum nights stay policy of 2 nights . No refund will be made for a variation to the extent that it breaches our minimum nights stay policy. If the property becomes unavailable for your occupancy due to unforeseen circumstances (eg: fire, storm, damage etc )we will inform you immediately – any monies paid will be refunded in full.Management reserves the right to cancel any confirmed booking prior to checkin date - any deposit paid will be refunded in full. ( 2 small to medium dogs maximum - please advise breed on enquiry ) Dangerous , aggressive dogs are not permitted on the property ! All dogs must be on a leash when walking thru paddocks near cows and horses - some are quite old and unable to run away if they are chased or dogs try to play with them. This can cause stress and serious injury to them - and if approached from behind they may kick causing possible injury to your pet. A Wombat does sometimes pay a visit to the lawn area at night only - so please check the fenceline is secure each morning if you are concerned your pet may escape out the same hole the wombat has dug under the fence. Owners must pick up after their pets before departure and put rubbish in bins provided, any damage to furniture or property caused by pets will be charged back to the owner – please advise us before departure so we can have it repaired before the arrival of the next guests. We have doggie doors/bowls/bed/toys they can use during their holiday. 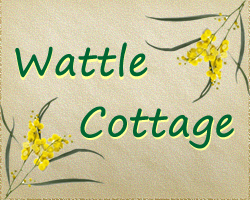 We do hot have ticks at Wattle Cottage – (not to our knowledge we have never found one on our pets). For the comfort /health and safety of future guests and their pets all dogs must be treated for fleas before arrival. Owners of dogs that shed hair are required to use the vacuum provided to remove any pet hair from the carpets / floors. Please do not leave dogs at the house unattended for long periods of time – constant barking will not be tolerated so please take your dogs with you when you go out if your dogs do not like to be left alone. Linen at the house if for human use only – please bring your own blanket or sheet if you think they may jump on furniture. Cleaning bond of $100 will be retained if there is a need to wash blankets / vaccume or remove pet hair from carpets and floors/ deodorise and clean carpets / pick up doggie poo from the fenced area around the cottage or repair damage caused by pets. If the damage exceeds this bond owners are expected to pay for full cost of repair or replacement of item damaged. You must comply with all applicable House Rules and all instructions from management concerning occupancy, property, health, safety, and quiet enjoyment of the property and our neighbours. You are responsible for damage,breakages,theft, and loss of the property and any part of it during your stay. You must notify us of this immediately. Management will recover costs from you if repairs or replacement of damaged item/s are necessary. Only the guests nominated and agreed in the booking may stay in the property overnight. If any guests stay extra charges will apply. Before Departure, all rubbish is to be put in appropriate rubbish bins provided, crockery washed and packed away. Extra cleaning charges may be incurred for the cleaning of dirty dishes,emptying the fridge, Should the cleaning fee be more than the usual you will be contacted in regard to cost. If cigarette smoke is detected in the cottage a deodorising fee of $150 will be charged. Cleaning bond of $100 will not be refunded if there is a need to wash blankets / repair furniture / pick up after pet owners. All furniture and furnishings must be left in the position they were when you arrived. The property should be vacated on time and secured. All windows /doors closed and locked. Your are responsible for the safekeeping and replacement of accommodation keys. Loss of keys – replacement cost of cutting new set of keys will apply. there are back up solar power lights / gas cooker / books to read till the power is returned to normal. In the case of any problems or complaint, you must inform management at the earliest opportunity so that management has the chance to rectify the situation as quickly and efficiently as possible. Any complaint that cannot be resolved locally , must be notified in writing to the management prior to departure from the Property. All visitors / Guests are recommended to arrange their own holiday insurance, including medical cover as required. The owners can accept no responsibility for accidents. The owners of Wattle Cottage or Kookawood and will not accept any liability for any loss, injury or damage of any nature however sustained to or by any person in the course of their occupation of the property and the land belonging adjacent thereto as a result of the occupation of that property or any activity carried out in the course of such occupation however sustained, such activity and occupation are carried out at the individual's own risk. The tenant accepts full responsibility and agrees to indemnify the owner for any injury or death to themselves, guests, animals or any other person on the property during the term of their booking.